Unfortunately, car accidents were a problem even in the automobiles earliest days. 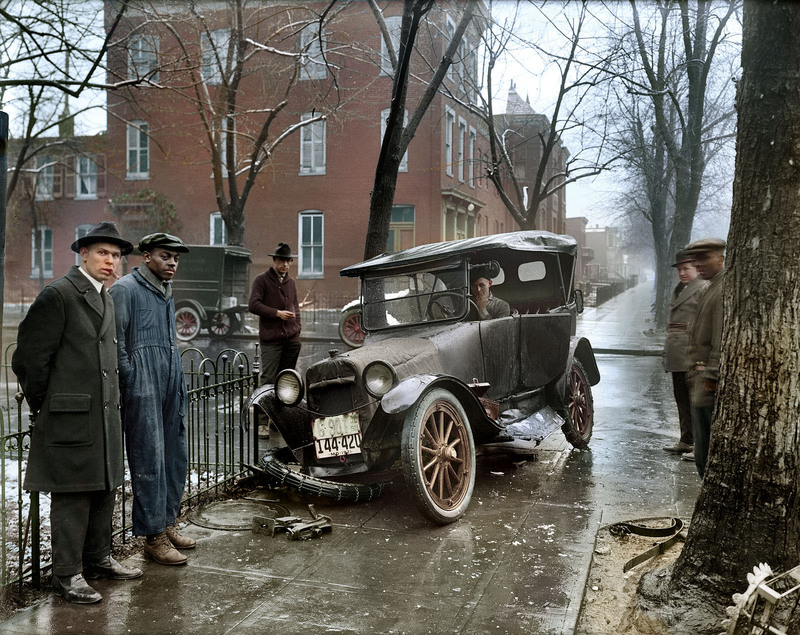 Check out this amazing colorized photo of a car accident from 1921 care of reddit.com. This entry was posted in Uncategorized on May 23, 2013 by Bryan Nguyen.